Gamer Network, the world’s leading network of independent video games websites and producer of the UK’s premiere video games events, takes a rosy look back at last week’s EGX Rezzed. Freshly relocated to Tobacco Dock in London’s East End, EGX Rezzed 2015 cemented itself as the premier platform for independent developers to showcase their latest projects, as well as larger publishers to highlight their latest game updates. 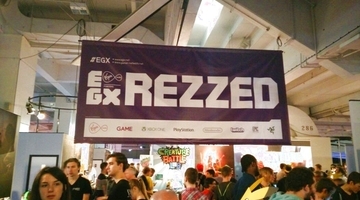 With the return of established features such as the Developer Sessions, Leftfield Collection and BAFTA Inside Games Arcade, plus the inclusion of new features like the GamesIndustry Fair and Rezzed Sessions, this year’s EGX Rezzed was the best yet for both consumers and exhibitors. As is tradition, Gamer Network asked visitors to let them know their personal Game of the Show. ArenaNet arrived in force to EGX Rezzed with their newly announced first expansion for Guild Wars 2. With a packed booth for the entire event and a very warm reception from fans, Guild Wars 2: Heart of Thorns wins the EGX Rezzed 2015 Game of the Show. ● 6 teams competed in the Creative Assembly Game Jam, each given 8 hours to make a game from scratch based on Guardian news stories. Congratulations to Ultra Testibus! “This year’s EGX Rezzed provided the most positive feedback of any show in the EGX family. Consumers enjoyed the discovery of a new and fascinating venue and developers enjoyed the opportunity to either take their own space or throw themselves together”, said David Lilley, Managing Director of Gamer Events. “Last week’s show provides the perfect springboard for this September’s EGX, the largest gaming event in UK history”. All eyes are now on EGX 2015, with ticket sales kicking off at 11:00 GMT (12:00 CET) this Friday 20th March. Set to be the largest UK gaming event ever, EGX 2015 runs from 24th-27th September. 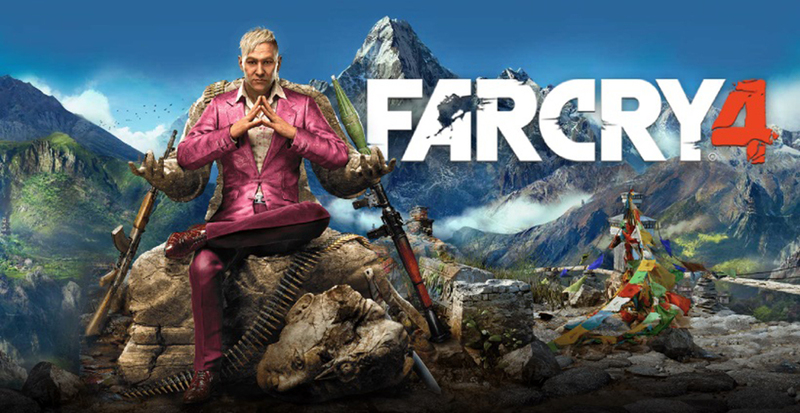 The lovely people at Ubisoft sent me over Far Cry 4 to review and it has taken me this long to get round to writing the review! This game is huge! I ended up with a 74.9% completion and it took me about 34 hours to get there. I did the very minimum to get the achievements and it still took me a long time to get through it. However this being said it doesn’t feel repetitive. I didn’t get the pleasure of playing through Far Cry 3 my self but I did see my flatmate play through it. From what I could gather the story is more in depth and interesting in the third game but the antagonist Pagan Min is an excellent character and amused me throughout the game. The game is breath taking to look at and just travelling around the land of Kyrat is a pleasure in its self. The scenery is stunning and the map has many ways to get around which brings me on to my next point. There are many additional features in this game compared to Far Cry 3. The addition of the Buzzers are helpful, they are one man flying vehicles and one of the most helpful things I found was being able to throw bait in to a base and watch as a wild animal tears across leaving you with one maybe two to take out. Over all I would say this is just a larger feature filled version of Far Cry 3 with less of a story to go with it. 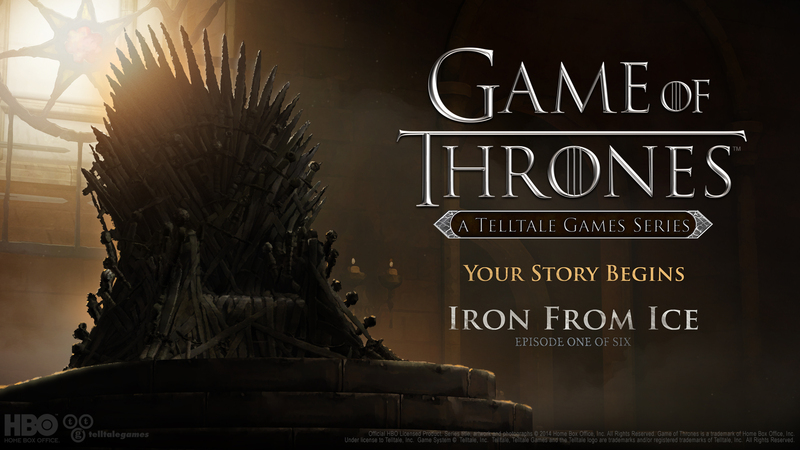 Telltale have been very lovely people again and they sent me the first episode of the Game of Thrones episodic to play through. The first thing I have to mention is that Telltale are true experts at catching the feel of an IP. Borderlands, The Walking Dead and now Game of Thrones have the exact feel as they show, comic, game or book it represents. The art style is beautiful and slightly different to the normal comic book style we see from Telltale. This has been done more in an oil painting style which suits the game. I played the game on Xbox One and as you’d expect it is a crystal clear image. The choices you have to make through the game are very Game of Thrones style and are incredibly difficult to make, you often move on wondering if you have made the right choice and questioning, what if? As with the Borderlands game this can be played if you have never seen the show or read the books as the story stands on it’s own. However if you are a fan of the series the inclusion of characters from the show will increase your enjoyment, or fear in some cases. I highly recommend picking this up and look forward to playing through the rest of the Game of Thrones series. Winter should definitely come to your console! Telltale gave me the absolute pleasure to review Tales from the Borderlands for them and it was a fantastic first episode for the series. As you may or may not know Telltale have made a name for themselves over the last couple of years by releasing episodic games based on The Walking Dead and the Fables graphic novel. These games had incredible stories with difficult, soul torturing decisions to be made which would affect your entire game. Now with Tales from the Borderlands they have taken a slightly different approach. As the subject matter is a lot more light hearted the decisions you make aren’t quite as heart wrenching as previously seen from Telltale. The story and characters however more than make up for this. You play this game as two different main characters, one a disgruntled Hyperion business man and the other a Con woman. Both characters are highly entertaining in there own ways and both have a great side character to go with them. I would highly recommend this amusingly, entertaining first episode whether you have played a Borderlands game before or not. 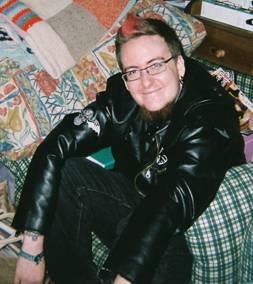 Obviously you will enjoy it more if you have played Borderlands 1 and 2 but it is not necessary as there is a quick catch up at the beginning of the game. 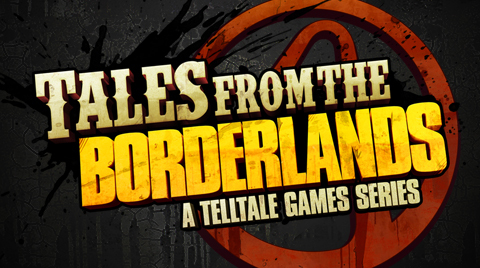 I am incredibly interested and excited to see where this new Tales from the Borderlands is going to go and how it will evolve. I can see good times ahead! ‘Bored Gamers’ launches Friday September 5th at 9pm. Let the games begin. ‘Bored Gamers’ is a weekly 1 hour show premièring on The Latest TV on Freeview channel 8 from September 2014. Taking a humorous and irreverent look at all things gaming – in a British television first – Bored Gamers combines the exciting worlds of video and adult board gaming, to bring the viewer up to date news, reviews, interviews and much more. Incorporating an easy-going every-man style, presenters, gaming enthusiasts and self proclaimed ‘non-experts’ Jim Devereaux and Greg Marshall review the latest video and board game releases as well as previous classics. Utilising the ‘out of five stars’ reviewing method, Bored Gamers also introduces the ‘Boredometer’, a gauge based tool to review the re-playability and longevity of game play, in short – the boredom threshold. Alongside reviews, the programme includes exciting feature segments as the Bored Gamers attend conventions, meet manufacturers and designers and much more, to explore every facet of gaming. Each week also features an interviewed studio guest, as we delve into their insights and experiences in the world of gaming and invite them to take the communal guest retro video game challenge, as we monitor each series who has the requisite skills to top the leader board! In keeping with its technological content, Bored Gamers encourages viewer input via dedicated Facebook and Twitter pages as well as releasing content via various media to supplement the weekly program, including podcasts, web episodes and live Q&A sessions. Programme producers and presenters Jim Devereaux and Greg Marshall have over 30 years experience between them, both behind and in front of the camera, as well as a plethora of stage and entertainment work. I got the pleasure of reviewing Magic 2015 this week and it has certainly made some improvements on past titles. 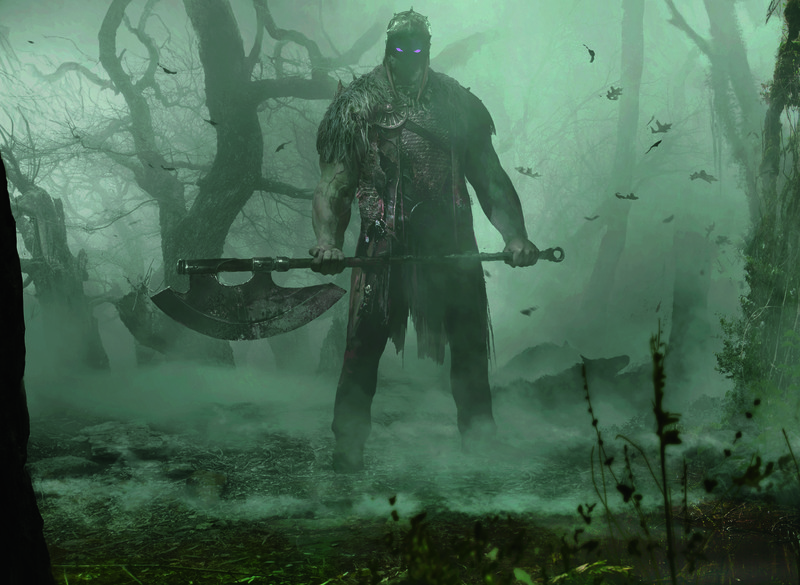 The Magic card games on consoles, PC and smart devices have always been a good way to introduce the game to new players and teach them the rules and this one is no different allowing you to play with all the latest cards in premade decks. As you start the game you are taken through a tutorial which is unfortunately unskippable for seasoned players so you just have to grin and bear it whilst the overly chirpy and sometimes patronising tutorial voice tells you all the things you already know. Once you are through the tutorial though you are let loose on the game which follows the similar formula as the last game. Heading from Island to Island facing the challenging battles along the way. However there is a difference in these places as there are no longer challenges like there have been in previous games, instead there is now explore nodes which you can play a few times with different battles until you are face to face with a planeswalker such as Chandra or Ajani. Finally the biggest and best difference to previous games is that once again you get random booster packs from completing each match and with the random cards you get from the booster you can either update your premade deck or after playing for a while you can create a deck entirely from scratch if you so choose. This was a feature introduced in the last game but it wasn’t implemented very well as it wasn’t easy to get booster packs without paying out for them. In this game the booster packs are far easier to come by. I have yet to complete this version as the final boss is proving incredibly difficult for me but it has been an enjoyable evolution on the last game. If you are a Magic fan or are interested in getting involved in the world of Magic the Gathering, give this game a try. 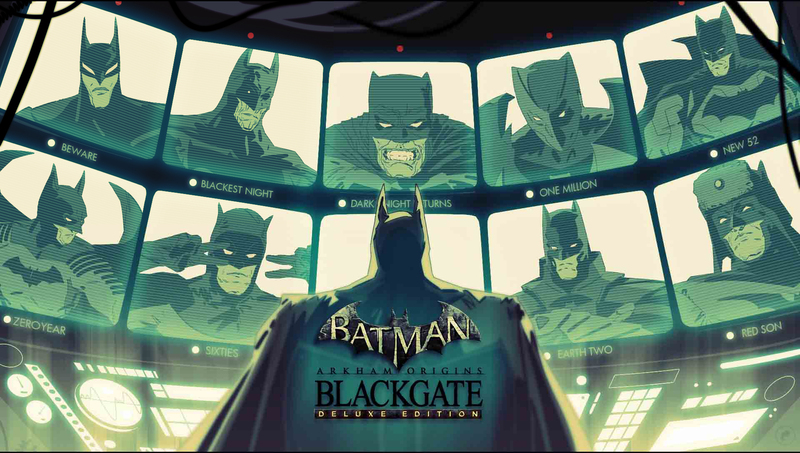 Warner Brothers allowed me to review the Xbox 360 version of Batman Arkham Origins Blackgate: Deluxe Edition. As some of you may know this was the game that was originally released for the PlayStation Vita alongside the main release of Batman Arkham Origins, developed by Warner Brothers. Instead of the 3D open world adventure it’s big brother is this is what is known as 2.5d adventure. This game started off feeling like a rail shooter Batman which wasn’t a bad choice as the combat was simplified but engaging and the art style in the cut scenes was very apt with it’s comic book feel. The problem came a bit further in to the game where the game tried to be open in a linear world. It was the cause of much frustration having to go all the way to one area to discover you didn’t have the right gadget or keycard to progress and having to then walk to a different part of the map to retrieve the needed item. A lot of the game just felt like I was walking around the different zones and getting lost through the map laid out in a confusing manner. The boss fights and some of the puzzle rooms when you eventually get to them are fun and in a good Dark Knight style though and are almost worth the amount of confused wandering. My overall conclusion for Arkham Origins Blackgate is that if you have a PSVita certainly give it a try but if you want to play a Batman game on a home console or PC stick with any of the current Arkham games in the series. 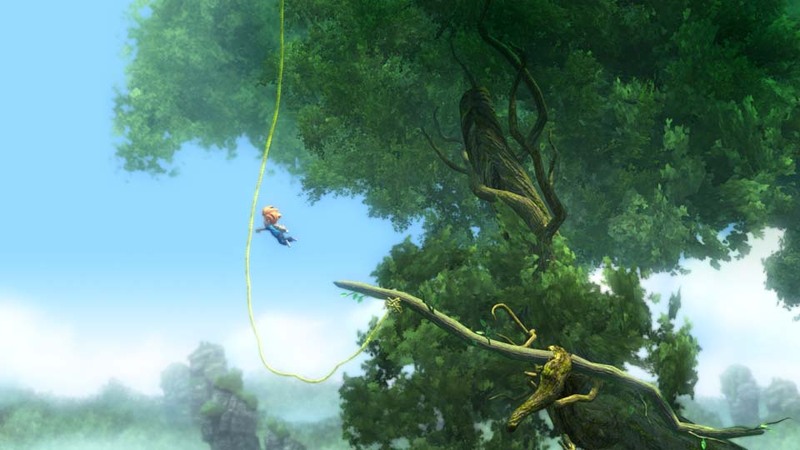 For my first review of 2014 I got to review my first Xbox One Game, Max: The Curse of the Brotherhood. Max: The Curse of Brotherhood is a 2.5D side-scrolling platform video game developed by Press Play for the Xbox 360 and Xbox One. The game is a reimagining of Press Play’s previous work, the 2010 Max and the Magic Marker. This is in essence the first arcade game to be released on the Xbox One and it is a good starting point. The graphics for the game are not the ultra realistic that most current games for the XB1 are, they are a nice cartoon style that still looks very attractive on the next generation console. The game play reminds me of Limbo but it does miss that charm that Limbo has which makes it the classic game it is. Max uses his Magic Marker to create; pillars, vines, branches, water slides and Fireballs to navigate his way through the levels and overcome puzzles. When I first saw the trailers for the game I assumed the magic marker was going to be controlled using Kinect which could have shown off how well it can work but the game only uses the controller. There is a nice level of humour within the game with the main antagonist being called Mustacho which never failed to make me smile. Speaking of Mustacho though, when facing him it has to be one of the most frustrating final bosses I have ever faced. Throughout the game where death doesn’t hold much of a punishment apart from being restarted at the puzzle you were on, during the boss this becomes incredibly irritating. My issue with the final boss aside, Max: Curse of the Brotherhood was still an entertaining first arcade game for the Xbox One. If you enjoyed Limbo you will enjoy this. Max: Curse of the Brotherhood is out now on Xbox 360 and Xbox One. 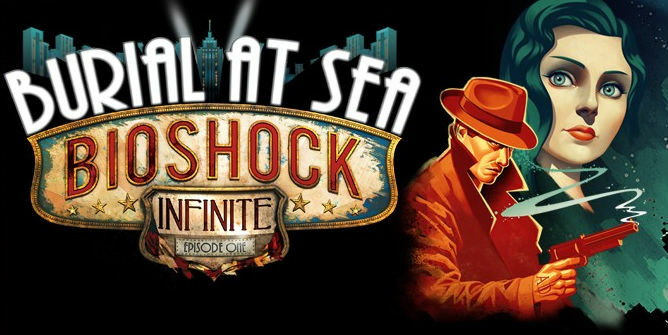 2K and Irrational games have recently released their first bit of story DLC for one of the biggest games of the year, BioShock Infinite, and I got to review it. I am going to start off by saying their will be some spoilers for the main game here. Do not read on if you haven’t finished BioShock Infinite’s main story. The DLC, Burial at Sea Episode 1, puts up back in the role of Booker DeWitt with Elizabeth as your companion. However this time you are in the underwater city of Rapture before it’s demise. The entire DLC was created using the same engine that created Columbia which gave brought Rapture up to date with the game. This being a BioShock game the atmosphere and look of Rapture was breath taking. Every building and every view was a pleasure to look at. The underwater city at this time also lets you see some people and places in all their glory before the events of the first game. The combat has been changed slightly in this DLC as you are once again battling splicers as oppose to the human forces you fight in the main story of Infinite. The focus is more on stealth this time, sneaking up behind enemies or setting traps with your plasmids. In addition there is also the return of the weapon and plasmid wheel which made choosing which allowed you to take all the weapons you find. There is also a new plasmid for you to try which I personally quite enjoyed. The story of this DLC is a good follow up to the main campaign and after the end of Infinite it is good to see some continuation of the idea. Much like the end of Infinite the ending of this story leaves you thinking for a while after finishing. The biggest downfall for Burial at Sea: Episode 1 was that it was far too short. I am not one to race through games, I like exploring and searching as much as I can and still it took me just under three hours to complete. I understand it is Episode 1 but just as I was really getting in to the game, it ended much to my disappointment. I can only hope that Episode 2 stays at this standard but just goes on longer.